When you’re learning about nutrition, it’s hard to distinguish one B vitamin from another. That’s probably because of how they’re presented to the learner: all in one group. They all sound alike. They’re distinct, however. Biochemically separate. As B vitamins, they’re grouped by function. It’s an attempt to organize the information in an understandable way. All of the B vitamins play a role in making your various cells run. As one of the B vitamins, B-6, also known as pyridoxine, has been studied over the last couple of decades for its relationship to sleep. It does so much more than that. 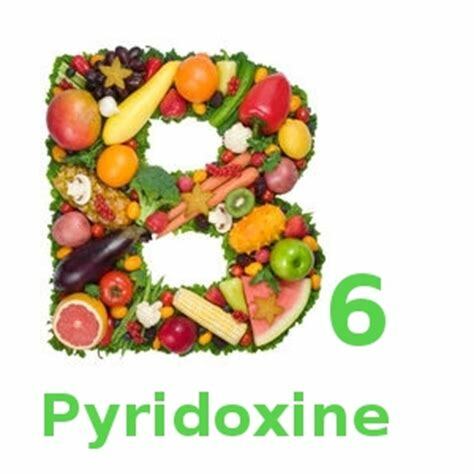 Vitamin B-6 helps to regulate homocysteine. Levels of that amino acid go up when the levels of B-6 and B-12 goes down. Having a high level of homocysteine increases your risk of heart disease, heart attacks, and strokes. Vitamin B-6 also plays a role in helping nerve cells produce neurotransmitters. These hormones help one cell communicate with another. The neurotransmitters help regulate the sleep cycle. This vitamin is found naturally in whole grain cereals, beans, bananas, avocados, milk, cheese, eggs, red meat, liver, and fish. Researcher Denholm Aspy of the University of Adelaide School of Psychology is the name most commonly associated with this vitamin as it relates to sleep. In the latest study, completed in 2018, 100 participants in a double-blind study found 240 mg of pyridoxine increased the amount of information remembered from their dreams. Contrary to earlier, smaller studies, the larger study found that it didn’t increase the vividness, bizarreness, emotionality or color. Those earlier studies included only 12 participants so it’s possible that this is true for some people. It’s believed supplementation helps to increase cortical arousal during the REM stage of sleeping. How can you use this information in your dream journaling practice? It might be something you want to consider. You could try supplementation for several consecutive nights and then try dream journaling for several consecutive nights without it. It is a vitamin, after all, so you’re probably not deficient if you’ve been eating a healthy diet with a variety of foods. Realize, too, that there’s a difference between level and deficiency. Just relying on what you get in your diet might not cause the effect of increased cortical arousal to the point that it would affect your dreams. But with a healthy diet, you wouldn’t necessarily be considered deficient of Vitamin B-6. Take notes about the effects in your dream journal. Maybe make a notation on a night you supplemented and another night when you didn’t. Realize there are a lot of factors that come into play when it comes to dream recall. For example, the day before you might have had an especially physically taxing day and gone to bed overtired. That can definitely affect dream recall. It makes sense to make sure that you’re using a consistent, high-quality vitamin. As a nutritional supplement, there is no regulation. A manufacturer can say and put out anything. Studies show that they do too. Unless they have to answer to someone, they’re sloppy. Consumers who don’t know any better buy them anyway so they make money. You can’t trust the price of the vitamin to be what it says it is. The vitamin carrying the USP seal can be the lower-priced one. The U.S. Pharmacopaeia has a voluntarily regulation program. Look for vitamins that include the seal and don’t bother with anything else. Despite the label, without regulation you can’t be sure of how much you’re actually taking. It could be too much, it could be too little. It could be just the right amount. Who knows? The fact that you won’t and you’re trying to decide on its effectiveness means you can’t trust your conclusions. Affiliate Disclosure: The Dream Recovery System uses affiliate links for which we get a small remuneration when our site visitors shop there.